Ta Christopher Frank Carandini Lee ny chloieder fillym Americaanagh. Rug eh ayns Lunnin, Sostyn, er 27 Boaldyn, 1922. 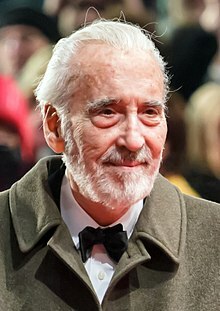 Ta tooilley coadanyn mychione Christopher Lee ry-gheddyn ayns Wikimedia Commons. Hie yn duillag shoh er ny reaghey er 7 Jerrey Souree 2013, ec 01:38.